Load bank testing is a procedure that is very important for the successful operation and reliable dependence of a generator when used in an emergency standby power system. The test consist of connecting resistance devices or electric heaters, with power demand equal to the rated output of the generator, to the generator. After hookup the generator is cranked and running while the resistance is increased gradually up to the rated output of the generator and the performance recorded at thirty minute intervals. If for any reason the unit fails to continue to deliver the rated power at any point, the reason for the failure will show up and can be addressed by the technician. Load bank test have been something of an option in the past but more and more now days it is required by the state. Life safety facilities such as surgery centers, nursing homes, hospitals etc. are now required to have generators and nave them tested on a regular basis. We have a number of load banks in various sizes that can be used individually or connected togather to match the size of the unit to be tested. Integrated Power Systems, Inc. provides Load Bank Testing up to 3000 kW. Load Banking challenges the unit to deliver its full rated power. During this test the generator is connected to a load device and gradually loaded to its maximum rated capacity. A generator is much like an automobile that is only driven occasionally and never at very high speed. The load bank is similar to "blowing the soot out" of the the engine. Normally, a generator runs under little or no load and without proper testing it cannot be relied upon to start and reach full capacity and proper frequency. While weekly exercises are very important in the life span of a generator, they do not ensure that the unit will perform at the level it is designed to. Load bank testing creates an electrical resistance equivalent to what the unit would need to perform if the power was shutoff. 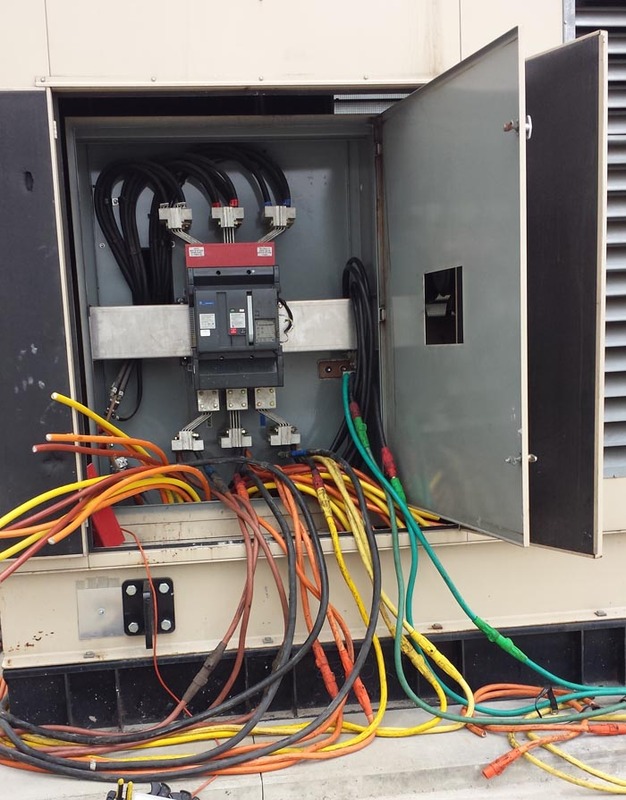 It identifies any issues with the generator's performance and allows for them to be recognized and repaired before the equipment is able to fail. Load bank testing is especially important for diesel generators, because if they do not run at full capacity, they can develop what is known as "wet stacking", which is when deposits develop throughout the engine. These deposits accumulate and can decrease its output capability or even destroy an engine. Load bank testing helps to burn away these deposits from the system, ensuring that the generator will last longer and run when it is needed. Overall, load bank testing is essential for generator performance. It extends the life of the unit and allows the generator to run smoother and generate the required amount of output. Most importantly, it recognizes issues with the generator's performance before it is too late!